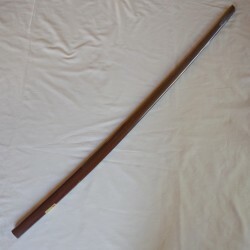 Jikishinkage Ryu Bokken has no curve. 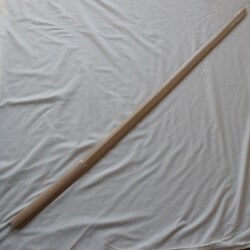 It is straight, thick and very heavy. 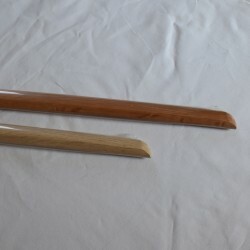 The tip of the blade (kissaki / kensen) is flat. 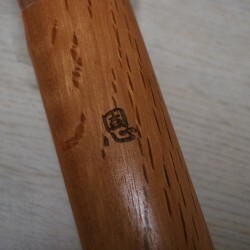 The shape of the handle (tsuka) is almost a circle rather than oval, the standard form. 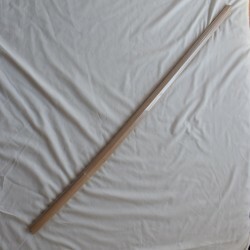 It is important to practice with a specific bokuto of a specific school. 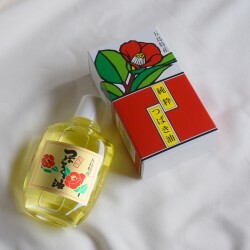 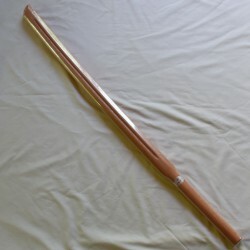 Because the philosophy of each scool is different, the way to attack (techniques) and these attacks' forms (fondamental motions) are differents as well. 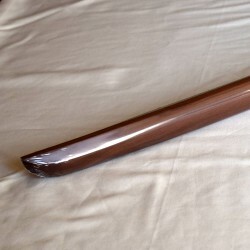 Jikishinkage Ryu: its real name is "Kashima jiki shinkage shinden ryu", ancient Japanese traditional martial art (Kobudo) based on ancient styles of Kenjutsu, the art of the Japanese swordsmanship. 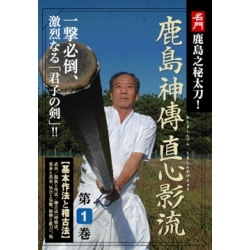 This very popular style among samurai has seen the emergence of highly talented swordsmen, some of whom have obtained the "menkyo kaiden", the highest title in the teaching of kenjutsu. After becoming shihan, they too passed down this art through the generations. 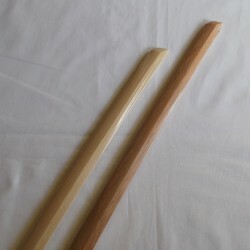 JIKISHINKAGE Ryu is the first Kenjutsu school to use SHINAI and BOGU (armor) during training. 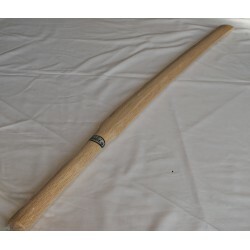 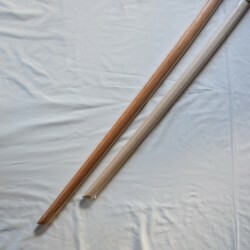 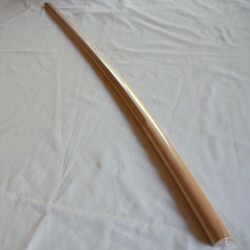 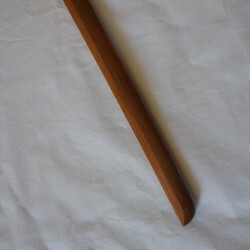 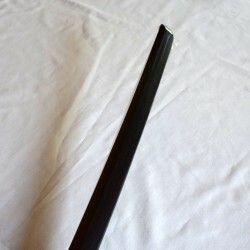 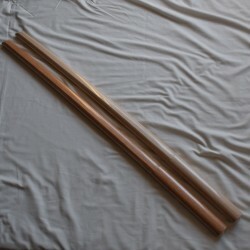 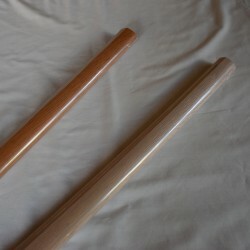 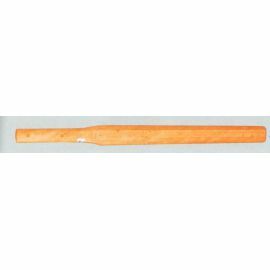 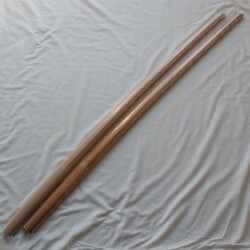 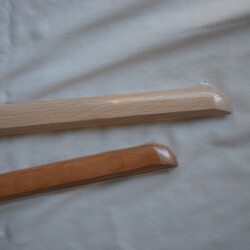 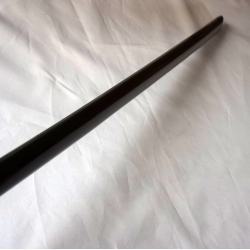 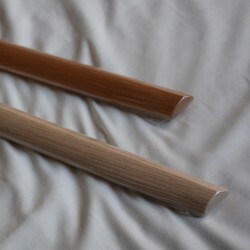 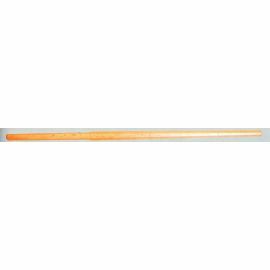 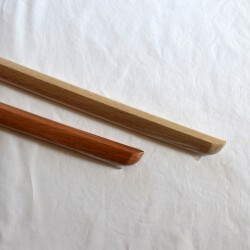 Several bags for bokken are available in our online store.